MyCommunity is a platform of web sites and secure portals that integrate to Strataware. The system is tailored for use by property owners, board members and if desired, tenants. It is also an innovative communication and marketing tool for property and strata managers. 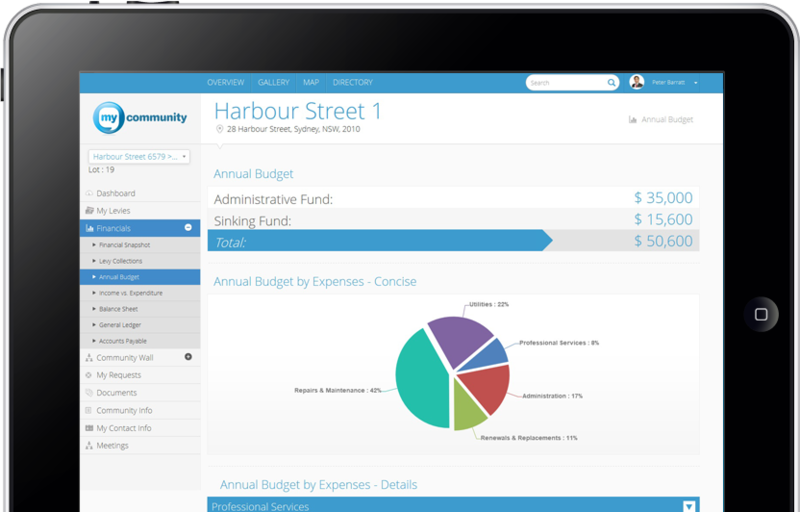 If you would like to use MyCommunity and have it integrated to your current property management system such as Yardi, Oracle, SAP, Quickbooks and many more, contact us. Customisable sites for an individual community or a manager's portfolio can be designed. Apartment owners can view a live customer account. They can even pay via a a secure credit card gateway. Your community no longer needs a cork board in the foyer. Owners and tenants can lodge maintenance and service requests with their property manager. To stay up-to-date on latest news and tips on technology, strata living and sustainability please register your email address. Copyright © Mystrata Pty Ltd All Rights Reserved.